After few months of talking, several meetings and preparation a small dream became reality. In July of 2011 a small group of friends and their families organized a small triathlon in the beautiful nature of West Tatras mountains. They called it Oravaman. A race made by heart with familiar and friendly atmospehere, unique race spirit with unparalleled homestay at guesthouse Penzión Pribiskô in Zuberec. The race soon became a phenomenon and every year hundreds of athletes from different countries come to face the challenging course of Oravaman triathlon. 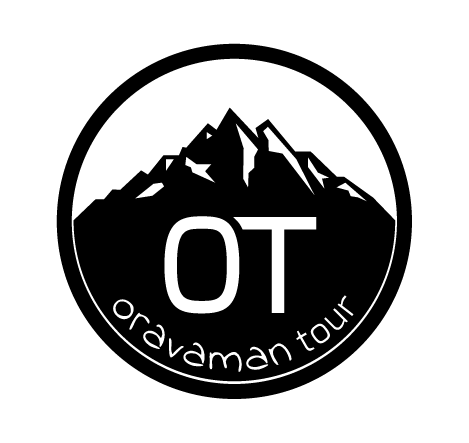 After 5 years of experience we decided to create Oravaman Tour (O.T.). It´s a trilogy of three unique triathlons (Goralman, Oravaman, JÁNOŠÍK – Slovak Xtreme Triathlon), where quality, uniquenes, atmosphere and care are the most important values. A part of the trilogy, under the brand of O.T. with the same philosphy and principles, we bring our experience to other races and events, where we want to connect sport, nature, friends and families.